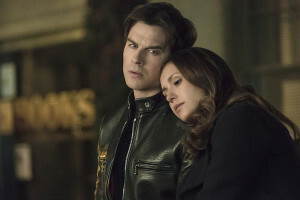 Vampire Diaries Spoilers: "I Could Never Love Like That"
Here’s the synopsis for “I Could Never Love Like That,” and if promo images are what you’re looking for, you can find them under the description. KILLER KARAOKE – With their humanity turned off, Stefan (Paul Wesley) and Caroline (Candice Accola) begin wreaking havoc at Whitmore, leaving Damon (Ian Somerhalder) to come up with a risky plan involving Lily (guest star Annie Wersching). After rushing to help Jo (guest star Jodi Lyn O’Keefe) treat victims of Stefan and Caroline’s latest killing spree, Elena (Nina Dobrev) discovers Jo is pregnant, prompting her to reevaluate her own life as a vampire. Meanwhile, when Sarah (guest star Tristan Mays) boldly turns the tables on an unsuspecting Enzo (Michael Malarkey), he is forced to open up about his tragic past. Lastly, at Scull Bar, a twisted round of karaoke leaves Tyler (Michael Trevino) and Matt (Zach Roerig) in a dangerous situation. Leslie Libman directed the episode with story by Matthew D’Ambrosio and teleplay by Chad Fivash & James Stoteraux (#618). Original airdate 4/16/2015. 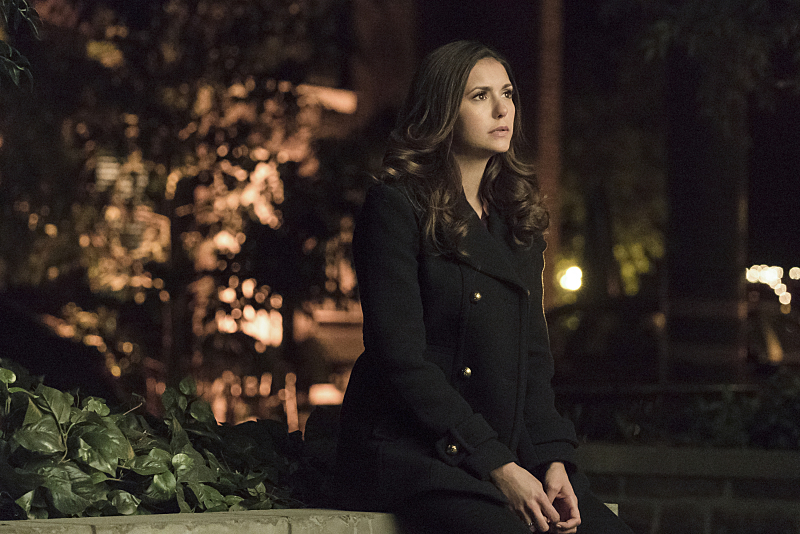 The Vampire Diaries -- "I Never Could Love Like That" -- Image Number: VD618a_0110.jpg -- Pictured: Nina Dobrev as Elena -- Photo: Tina Rowden/The CW -- ÃÂ© 2015 The CW Network, LLC. All rights reserved.